Gardening need not be expensive. There are many ways that you can do it on the cheap or for free. Here are a few methods on how to get free plants. The first way to get a free plant is by dividing it. When your plant gets too big, it is actually healthier for the plant to divide it and make it into several plants. Do this by digging up the plant and then cutting through the middle, making anywhere between two and four or more divisions. Then just take the new plants and plant them in different locations or share them with a friends. A second way to get free plants is by doing some plant salvage. You can do this is by finding a construction site where they are just beginning to clear the land. Then you need to ask the construction manager or someone else in charge if it’s okay for you to go on to the site and dig up some plants. Many times they will say yes. I have done this and got some wonderful foxglove and other plants out of a construction site that was just being cleared. Don’t ever do this without asking permission, and always check any applicable laws. One other way that I have used to get free plants is by sharing. I have both received plants from sharing, such as some beautiful purple irises that I’ve had in my garden now for about 15 years. 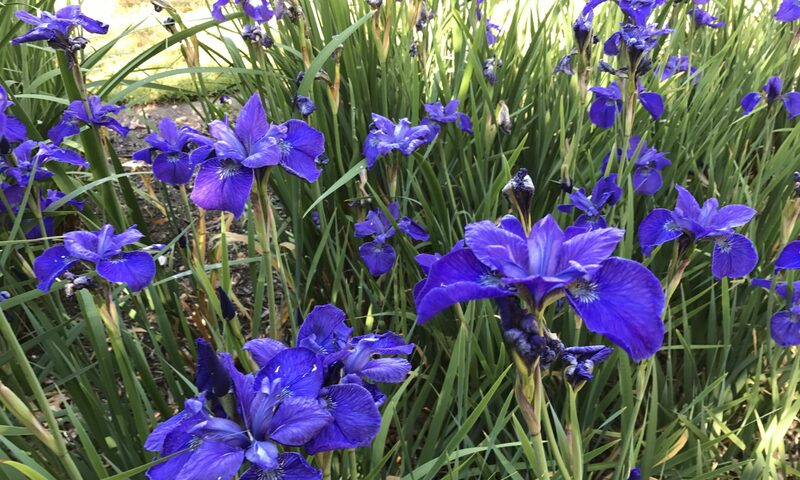 I have also shared plants including those same irises with other people. This is another ideal way to get some more free plants. Don’t forget you can also share seeds with people. Seed exchanges with people multiply the number of free plants that you both have. Now that you got a whole bunch of free plants and seeds, go out and plant them in your home garden.